Hello Modest Money readers! My name is Erika, and I run the blog From Shopping to Saving where I talk about personal finance from the perspective of a 24-year-old former shopaholic who struggled with the of idea not filling her shopping cart with expensive regular or sale items. We get deep over there and talk about saving, shopping (or lack thereof), condo hunting, and more. Click at your own risk! Last weekend, I had the opportunity to escape my usual 9-to-5 reality and step into the world of housewives, 12-year-old girls’ volleyball, and Lululemon. I had no idea what I was getting myself into, but I wanted to be there for my little sister since my parents weren’t able to make it and the National Junior Qualifiers Volleyball Tournament was such a huge event for her. As I walked into Olive Garden to meet up with the group for the first time, I immediately felt under-dressed. No one told me you had to dress up to go to Olive Garden on a Thursday night, and I had just gotten off of work so I was wearing my usual uniform of leggings, a casual tee and boots. If I work as middle management and earn respect in the workplace in these clothes, why didn’t I feel as confident wearing these clothes with a bunch of volleyball moms? “Do you go to school in San Diego?” was one of the first questions that one of the moms asked me. I have no idea why this question makes me feel inadequate but it only added to my insecurity even more. Then, the waiter told me that I was “too young” for a glass of wine and simply skipped over me as he was pouring samples for everyone. I had to explain to everyone that I had just gotten off of work, but this further required more explanation as to what I did (and why I was dressed like that). I know most people that work in respectable positions dress up for work, but at our company we are very lucky not to. I am happy that I get to spend my money on regular clothes and not on dry cleaning and business suits, but for all they knew…I was just a poor student based on what I was wearing. I don’t understand how people can judge each other based on the type of clothes he or she is wearing. If you look at billionaires, sometimes you may not know just how much cash that person is rolling in. Yet, as I thought about it some more, I was judging them as well. All of these women were in fantastic shape and were dressed to the nines, sporting Chanel bags, trendy boots, sky high wedges, and Lululemon clothing- dresses, tops, skirts and all that jazz. If they were able to pay for this expensive volleyball club for their daughters and all of these expensive items, then they must be rich and snobby right? As I got to know the women during the 3-day tournament, I realized that there was much more to them than what the surface presented, and they got to know me too. I still wore my comfy yoga pants and no-name workout tops, but the insecurity that I felt that first night completely disappeared. This experience taught me that you shouldn’t be ashamed of living modestly and living within your means. What I could have done was take money out of my condo down payment savings fund, and run to the nearest Lululemon shop to buy myself a cute outfit to match all of the women. Would I have felt better about myself? Maybe. But it wouldn’t have done any good for my savings goals or for forming friendships. What I decided to do was be myself, share my personality and find other ways to relate to them, which benefited us all since we formed new and genuine friendships that weren’t fostered on false impressions. Don’t be afraid to be proud of the progress you are making whether you are saving for something, paying off debt, or just simply being frugal. Everyone has to start somewhere, and these women most likely began at the same starting point as well. That’s what makes personal finance unique, because we all have a different goal for ourselves and we all have a different way of getting there. Everything will be worth it and you may just be on the other side one day judging someone else because they look like a poor college student. I’m definitely proud to live modestly, but have had really similar situations happen in the past where I’ve let my insecurities get the best of me. I wear jeans to work pretty much everyday and sometimes feel weird if someone from upper upper management comes to the office wearing business attire. I know it’s OK to wear jeans and it makes sense for a lot of the work I do, but in that moment I usually wish I was wearing something more professional and wonder if they’re judging me for not wearing dress pants. I feel the same exact way Kari! Well obviously because I wrote the post but I work in a place where our whole department gets to wear jeans and super casual clothing. Yet, sometimes we have upper mgmt and sales execs come to our location since we are the main branch, and it’s sad enough that I’m in leggings or jeans but I also look like a teenager without make-up on. Sounds like my last job. All the employees would dress super casual, but some days my boss would come in decked out in a suit. Then he’d have a bunch of people over for a meeting all in suits too. Then there’s me in the corner with my shorts, polo shirt and runners. I never worried about that though since I was happy to be comfortable. Jeremy knows how proud I was to rock a 1997 geo metro for 12 years… I’m not as extreme with my clothes (I actually own a few custom made shirts that I paid $40 for!) but I’m definitely very, very proud to be modest with my money (pun intended). Yes in some industries you are just expected to dress a certain way. Usually you get paid a hefty enough salary to make it worthwhile though. If it’s going to affect your career, you don’t really have much choice in the matter. I’m sure you balance it out with less expensive clothes at home. $40 is pretty cheap for a custom shirt. I know people pay way more than that for a shirt just because it’s got a designer’s logo on the front. Thanks for sharing and I totally agree! You should be proud of who you are and what you’re doing. There is nothing more hazardous to your financial health than putting attempting to appear unrealistically wealthy. If you can fake it to a certain level, that’s fine. But living within your means is nothing to be ashamed of! Be proud! I went down that road before! I was a broke college student yet thought credit cards meant free money. Let’s just say that I fell for the credit card companies’ trap and spent my first year of working full-time to pay it all off. Thank goodness it’s all gone! Never again. I know I’m proud rocking my $10 shirts from the grocery store lol. Personally I’m super cheap with my clothes. I actually look at it as a negative thing when I see someone wearing a t-shirt that must’ve cost over $100 or a pair of $500+ sunglasses. To me that’s someone screaming for attention. Then again, I guess some people think that about my car. I’d rather have a fancy car that everyone can see rather than a t-shirt that has a tiny logo, that only a few people will appreciate. However if someone buys something for quality and has the money – that’s their decision. I would love to own a nice car someday. Maybe people will stop cutting me off! And btw…I have no idea what Lululemon is. Sounds dangerous…not clicking! Totally! I get those looks all the time, especially when I would play the parent at my little sister’s school functions/activities. They must have thought that I had her when I was 12, because I look extremely young haha. Thanks for your input though. It’s always intimidating to be around other women, especially those with money and who look fabulous! But I’ve learned that we all have to support each other instead of hate on each other. Yes if they actually thought you were the mom that would explain a lot. Women can be quite catty between each other, usually over jealousy. So when it happens, you should just consider it a compliment. I was going to say the same thing! Confidence and kindness are the two most important attributes you could have when dealing with people. Sounds like you rocked it and built some good relationships. I find where I live, it’s not so much your appearance, but what you are doing with your life. (which is worse!) At my age, I SHOULD be married, and I SHOULD be looking to buy a house. But instead I’m taking the time to pay down my debt, which is often an alien concept and draws blank stares from innocent inquirers. Either way, being proud of who you are, is important. Yes I guess almost everywhere people have certain expectations of other people. If they don’t match those expectations, they can respond in a negative way. Sometimes they are genuinely curious of why someone is going against the grain, but other times they are actually jealous that they didn’t follow that path. I kinda feel the same way when I go on facebook and see my old classmates all going onto great careers, getting married and having kids. Why should it matter if I do things the same way as them though? Everyone leads their life how they want to and how circumstances dictate. Fantastic post. I too sometimes feel out of place by the way I dress. I have a tendency not to iron my T-shirts or any casual clothing really. I once went to a financial conference and I felt so out of place when I saw how the people that attended were dressed. I could only assume all of them were CEO’s of big companies and I was no more than a “poor student”. I do believe that certain settings require a certain dress code but you should always be yourself and be comfortable. Don’t dress to impress for the wrong reasons. I don’t even own an iron lol. I just cross my fingers that my dress clothes are wrinkle free enough when I need them. While some settings do require a certain attire, I think there are others where it is perfectly fine to dress down a bit. I haven’t been to any conferences, but I would think some people could pull off the casual look just fine. It is all about how you project yourself. If you are comfortable dressing down, you might actually attract extra attention which you could use to your advantage. There is nothing wrong with dressing modest. As long as you look good, then you look good – Chanel or not. Everytime I see an article about how you need to “dress for success” or whatever, I think about old Steve Jobs in his black turtleneck and blue jeans. And where is Apple today? Yes we can all learn a thing or two from the Steve Jobs and Mark Zuckerbergs of the world. The thing is, even those guys had to put on a suit and tie for some occasions. A lot of the time you can just be yourself, but then there are other times where you benefit by conforming. It still amazes me that, in this day and age where the cost of living is astronomical and the economy is still in poor shape, people are still so uptight about appearances. These women probably have large amounts of money and don’t blink an eye when it comes to spending on their physical appearance and personal wardrobe. However, most of us aren’t willing or able to lay down a large amount of cash on a brand new outfit. I think that for many of these women, it’s more about keeping up appearances to impress their peers. And then, they see fit to judge others if their wardrobe isn’t up to par with theirs. That’s just childish, and folks need to get a life. I think that this type of thinking happens when you surround yourself with people that are very wealthy. They must be in their own little worlds and in their own bubbles, too busy to think about or even understand how the rest of the world is coping. For sure, those people have such a different perspective of the world. In certain areas there is even more of that peer pressure. Some parts of California may be even worse than others with the whole celebrity factor. They probably have that image slammed in their face more than people who live somewhere else. When media and society are all telling you to look a certain way, a lot of the ones who can afford it will pursue that look. I’m more appalled by the waiter’s response than I am by the other women. The women asked questions based on your appearance, while the waiter flat out informed you that you were too young. I’m glad you were comfortable enough with yourself that you didn’t try to change yourself to fit in. I hope your sister is watching and learning from you. THANK YOU! I seemed to be the only one that was angered by the fact that the waiter skipped over me. It wasn’t a joke either as he was a very old gentleman. Then again, there is such a huge gap between the older generation and the younger generation, it’s hard to blame him. I told him loud and clear that I was of legal drinking age but I did not want any wine. He just ignored me – no apology or anything. He probably assumed you were one of the women’s daughter. I’ve seen situations where the waiter gives less attention to the people they think are not paying the bill. Then there are the restaurants where they think that part of their job is to be snobbish. A few years ago, a friend tried to give me a wardrobe makeover, but it didn’t stick. Jeans and a polo are about as “dressy” as I get. And nobody is EVER going to get me to give up my flannel shirts. Haha keep it real Edward. Someone else may think you should be dressing a certain way, but you need to be comfortable with what you wear. I’m the same way, minus the flannel shirts. I’ve got so many polo shirts that my exgirlfriend called them Jeremy shirts. I know exactly how you feel! I look young, so it’s hard to get respect from people. But once people ask what I do, then everything tends to change. I just realized I don’t get that anymore. Damn, I must be getting old. It is silly when people have to blindly prejudiced against someone based on first impressions without knowing anything else about them. I guess some people just emotionally need someone to look down upon. I don’t know if I agree with the idea that it’s OK to dress however you’d like. There is a huge difference between dressing appropriately in an inexpensive way, versus dressing “modestly” when the situation may call for something more formal. I could probably get away wearing jeans and a polo to work during the week, but if I did that consistently I’d be hurting my chances for promotion and lateral moves. I think the advice of dress for the job you want doesn’t conflict with spending modestly on your wardrobe. Thus, I dress very similarly to our department director, shirt and tie nearly every day. I don’t spend a lot to do it either. I used to dress up when I was working at a law firm even though I was just a file clerk. The attorneys would dress in suits and the whole office was decked out. However, at my job now…when my boss’ version of “dressing up” is jeans and a fleece pullover that she wears everyday… I don’t think it would be wise for me to go above and beyond the extra mile. Different situations call for different outfits though. The work situation is different than what you wear out to a restaurant or when hanging out with friends. If you dress down in an office environment, don’t be surprised if it hurts your chances of getting a promotion. If you’re not spending much on your suit and tie, isn’t that dressing modestly in a way? Modesty can be a matter of perspective. Being judged is extremely annoying but I’ve learned to get over it. I pride myself on being different because I’m well-aware of the fact that being NORMAL is being broke, desperate, and stupid. With that said, I am young and I deal with older people in my daily job. I have no doubt they judge my abilities and my knowledge on my age, but there isn’t much I can do about that so I try not to worry. Good point about older people. They tend to be more conservative and used to a society wherever if you don’t work in a suit and tie, you must be a blue collar employee doing grunt work. Not that there’s anything wrong with blue collar work. That’s great that you can go against the norm. Some people may judge that, but others will actually respect you more because of it. I tend to under dress – at every event. Even when I try to ‘dress up’ my dress up clothes are still very mediocre compared to everyone else. I would love to be able to buy nice looking clothes but from what I have seen everything for men is expensive if it looks have decent. I’m in the same boat. I’m usually the under-dressed one in the crowd. I just can’t be bothered to spend a lot of clothes and I don’t particularly like wearing dressy clothes like a suit and tie. I have to wear a shirt and tie to work everyday. Once I get out I wear my undershirt a pair of jeans and a hoodie. I love it. I go to a board meeting that I am part of in this attire. It took a while for people with preconceived notions that since I have an MBA i am going to come in with a suit on. I like the low key look, my wife and I both have our masters and we dress as casual as they come. People are pleasantly surprised when they find out we both have advanced degrees like we get looked up and down for dressing the way we do. Fine by me!!! Jeans and a Tshirt for me! Right on. I’m all for hoodies and jeans. It’s good to know that you’re doing your part to erase people’s assumptions about people who dress casually. It definitely can backfire in certain situations though. Just like in Erika’s story, it’s pretty common to get inferior service in tips based industries when you’re not showing off your money in one way or another. That’s why I love living in Asia. I can wear $3 shirts, shorts and sandals every day and people wouldn’t know if I was broke or a billionaire. It definitely beats living in California where everyone is out to impress everyone else, regardless of the financial strain. Yeah who really wants that kind of pressure every time they step out of their house? Not only does it cost a lot more money to dress that way, but then you have to waste a ton of time getting all done up to go out. Just another joy of living in California haha. I would love to spend some time in Asia one day… even for only a month. The lifestyle there is so different! The lifestyle here is a lot more laid back then it is in the states, of course that all depends where you live. Places like Hong Kong, Singapore, Kuala Lumpur and the like are pretty similar to any major city. I live on a resort island, so it is extremely mellow here most days as the majority of people here are on vacation. It can be boring at times, but I’d rather be bored on a tropical beach than in California. I would agree. I have been lucky to find nice clothes for a cheap dollar. I watch for the sales. No one is the wiser. I also make sure to care for things so they last a long time. That way I don’t have to buy things to often. I do think appearance is important though. It’s human nature to notice it first. However, spending you life constantly trying to impress others is a waste of time because there will always be someone who doesn’t like you. Dress occasion appropriate and you will do just fine. Good advice Miss T. You can’t make everyone happy. And yeah, caring for your clothes helps stretch your dollar too. This is especially true if you are going to splurge on any expensive brand name clothing. Keep the price in mind when you spill something on it or when it comes time to put in the laundry. Erika, I know the feeling and this article hits a nerve with a lot of us. Why should I be judged by the clothes I wear? The truth is that we all judge people based on their attire. We can’t help it! The book Dress for Success makes the case for dressing as well as you can. By shopping smart and taking care of your clothes, it’s possible to build a tasteful wardrobe for not much money. I think about it this way: If I can make a jacket last for several years, I’m paying only, say, $20 to $30 a year. You don’t have to be a slave to fashion, but your wardrobe should reflect the person you want to project. Personally, even if I could afford nicer clothes, I’d still opt for whatever is most comfortable. I wouldn’t want to wear something flashy. That’s regarding my personal time anyway. In the work environment I’d be more inclined to dress nicer if it’s going to actually help my career. Dressing as well as you can all the time just means you care too much about what other people think. It’s funny because I actually get more joy from buying cheaper clothes that look nice, rather than buying an expensive item that looks like it could cost $10. I feel more satisfied and I get a rush when I buy something on sale and I end up wearing it everyday. For example, I love wearing my $20 boots and they are the first ones I reach for every morning over a pair of $200 boots. When I wear the $200 boots I don’t feel good about myself at all. Could be psychological. I used to work a second job at night and it was right near the office of my day job. One time the CEO from my day job came in for a few items and he was dressed like a bum, looked like he had just come from the gym. No one else in the store knew who he was but I recognized him and knew he could buy the whole store if he wanted too. Appearances can be deceiving. I think some wealthier people actually prefer to avoid the extra attention that dressing up brings. They are so used to be getting sucked up to at work and other places, that sometimes they just want a break to be an everyday person. Plus who wants to wear an uncomfortable suit and tie all the time? I agree. Travel is a much better way to spend money. You’ll have those memories for the rest of your life. 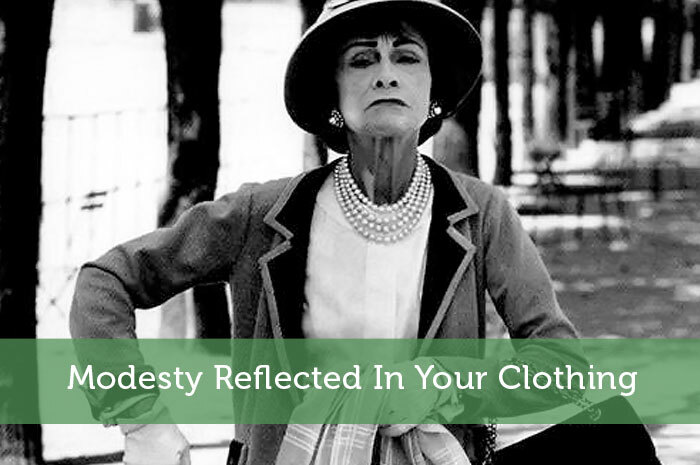 Those expensive clothes will be long forgotten once they wear out or go out of style. I agree with Cult of Money. A lot in life has to do with perception. 5 years ago I moved from from the midwest, suits crowd. We could not even wear open toed shoes! We live in south Florida now. The second job I held here, a majority wore flip flops and shorts to work. I had skirts and blouses! I toned it down, but could not feel like I was doing my best work if I was dressed for doing yard work (plus who could afford to switch it up?). I seriously do think your dressing style affects your professional relationships, if not at work, from a networking perspective. Dressing like you care has nothing to do with cost. Yes, my last purchase was a 15$ blouse at off 5th (additional 50% off lowest clearance) which was 230$!! Tshirts and leggings, fine, add a cute scarf, or a bracelet and matching shoes. Try to add a couple of pieces in dressier fabric. A nice black silk (ok most likely spendy unless from thift– it can be done!) tank will take you far. I keep a blazer/dressy sweater in the car to toss on if needed. I have been self employed for 3 years now, business connections are awesome to establish and maintain. You never know who you run across, you may at some point in your life hire one of the moms. Better to leave with the impression of ” what a nice young lady who is on the ball, boy does she have it together.” Besides, who doesn’t love nice accessories at a fraction of retail? I guess it depends on your circumstances. In some cases that impression you can make is invaluable. If it can be achieved for a reasonable price, it’s probably worth spending the money on some nice outfits. I’ve always worked in industries where my clothing mattered very little. So I’ve never had to go that extra mile to impress. No matter where you go, anytime a group is meeting up, there seems to be a competition, and that includes a competition of dressing too. I don’t care what people think. If you form an opinion of me based on my clothes, then I don’t want to associate with you anyway. Exactly…if people are going to be vain enough to judge you based on clothes, they probably aren’t someone you want in your life. The workplace would be one exception to that rule though.